6 - 12 & 7 pm Ash Wednesday. 10 - 9:30 am Sunday Worship. 17 - 9:30 am Sunday Worship. 24 - 9:30 am Sunday Worship. 31 - 9:30 am Sunday Worship. 7 - 9:30 am Sunday Worship. 14 - 9:30 am Palm Sunday Worship. 18 - 7 pm Maundy Thursday Worship. 21 - 10 am Easter Sunday Worship. 28 - 9:30 am Sunday Worship. 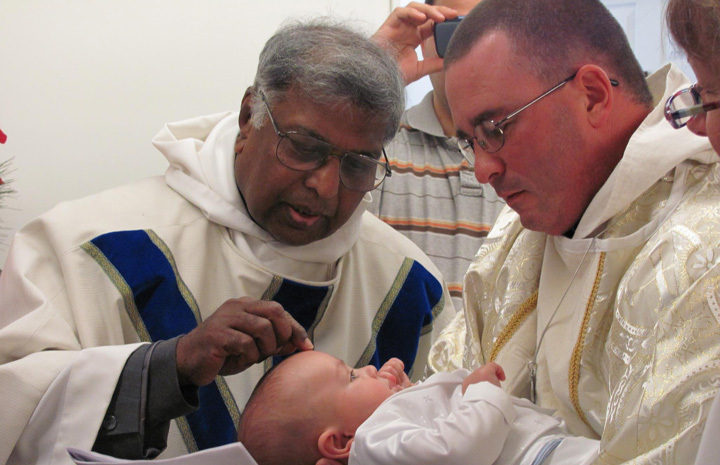 St. Andrew's is committed to being a "House of Prayer for all peoples" (Isaiah 56:7). Join this faithful group who is committed to praying for the church, our community, those in need, the lost and for God to be glorified. We use the Book of Common Prayer and share lunch together following prayer. Special Invitation: If your prayer life is not what you want it to be or you are a beginning pray-er, please come and be inspired and trained to pray. This time of prayer will be good for your soul. April 14 at 9:30 am. Dinner following. This Sunday in the church calendar is both Palm Sunday and Passion Sunday. The service starts out with the whole church joyfully processing into the building singing loud "Hosannas! After Holy Commuion the service takes a more solemn turn where people in the congregation take parts in reciting the Passion narrative. Following the worship service we will have a festive dinner. On Holy Thursday at St. Andrew's we celebrate literally 3 services in one: We begin Foot Washing service, recalling how Jesus washed the feet of his disciples. Then we celebrate Holy Communion together remembering the Last Supper where Jesus instituted this feast. Lastly, during the sacred service of the Stripping of the Altar, the congregation recites Psalms as the Altar is laid bare and the cross is shrouded in black, recalling the arrest and trial of Jesus. The altar remains bare until Easter Sunday. April 19 at 12 pm & 7 pm. We have two identical services on Good Friday at 12 pm and 3 pm at St. Andrew's. This traditional Stations of the Cross services uses Scripture readings, prayers and songs to remember the crucifixion of Jesus Christ of Nazareth, who died on the cross for our sins. St. John says, "This is how we know what love is: Jesus Christ laid down his life for us." April 21 at 10 am. The holiest of Sundays in the Christian year is Easter and at St. Andrew's it is a joy-filled worship service with both traditional hyms and contemporary worship songs, a message of hope and forgiveness for your soul, and Holy Communion. Just as the Angels said at the empty tomb: "Why do you look for the living among the dead? He is not here. He is risen!" NOTE: the service time change to 10 am for this Sunday. 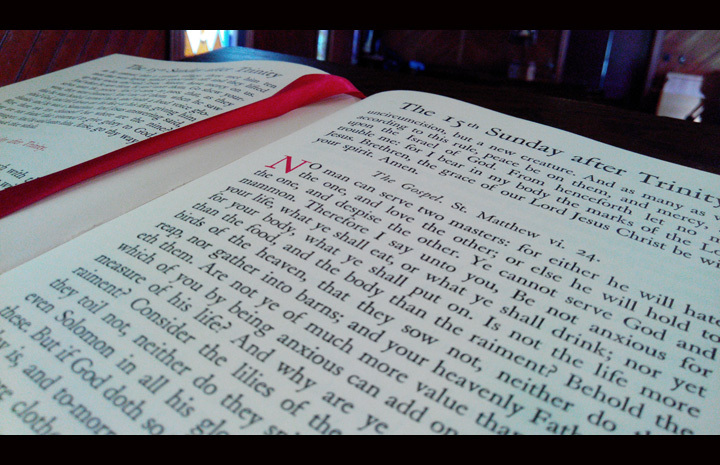 Visit our Sunday page for more about Sunday services St. Andrew's. 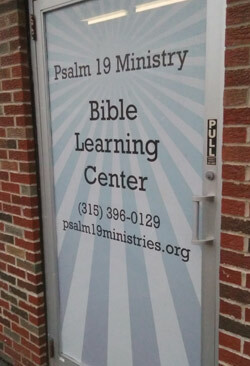 SUNDAY WORSHIP LOCATION: Enter the door that says "Psalm 19" at 6138 S. Salina St.
Like our Ash Wednesday Facebook event and invite others. Food Bank Mobile Food Pantry! 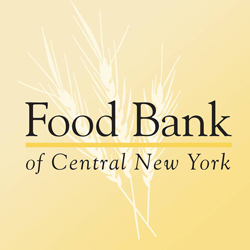 St. Andrew's partners with the Food Bank of CNY to serve families in need in our community by giving away boxes of food: fresh produce, dairy products and bread. Each box should feed a family of 4 for a several days. First come, first served beginning at 4 pm and ending at 6 pm. No proof of eligibility needed; however, we are hoping to serve needy families in our community. Please spread the word. God bless you all. 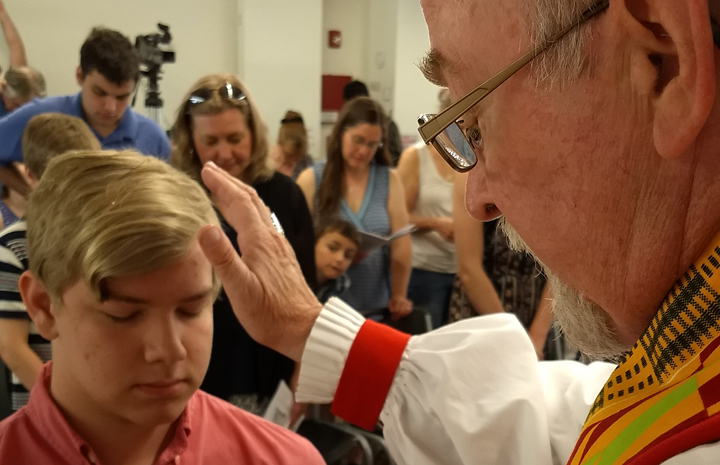 At Faith Builders for Kids events, St. Andrew's kids and their friends are growing deeper in their faith in God through their study of the Bible. These are fun events for kids PreK-Grade 6 to grow in their faith in Christ, make friends and build with Legos! Bring your kids and/or grandkids and their friends. Martha Rescigno and Alyx Evans are leading these monthly events. St. Andrew's Garage Sale is back in action for 2019. Some churches hold sales for fundraising. WE DO NOT. Our goal is to serve those in need in our community and to build caring friendship showing the love of God to all. 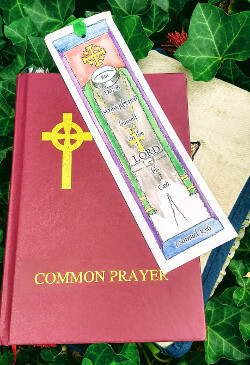 See the St. Andrew's Garage Sale Facebook page for up-to-date information..
Christians have prayed the Daily Office using the Book of Common Prayer for centuries. Yet many people are still intimidated or confused by the BCP. In light of that, Fr. Steven Evans has created a Daily Office Booklet for the season of Epiphany 2019. Here is the booklet for the previous seasons of Advent-Christmastide 2018-19. St. Andrew's was established in 1902 as a church plant. 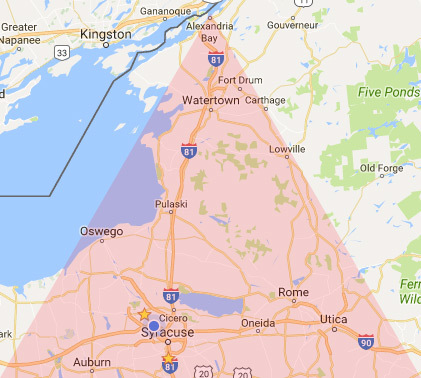 Now over 100 years later, we are praying about planting new churches in Central NY, the Mohawk Valley, Northern NY and elsewhere in upstate NY.